If you have been watching my Vlogtober offering on my YouTube Channel you will be aware that I bloody love a DIY facial, especially on a Sunday. I love giving my skin that time and effort. It's really important to do every now and again to ensure you skin is prepped for the week ahead! 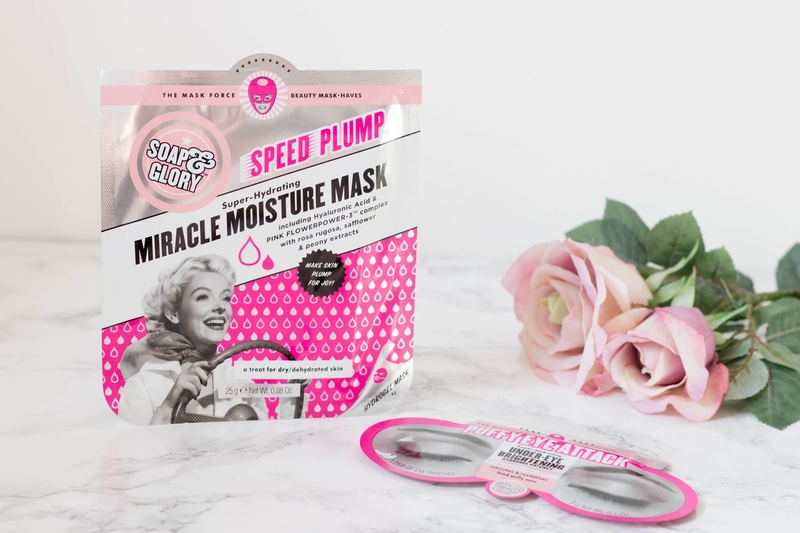 For me, I have dry, dehydrated flakey skin and I find following this routine works really well to keep the flakiness and dehydration at bay and add some glow! So I first start off with a peel. I find its the ultimate way to actually make your skin brighter and refresh it for the week. 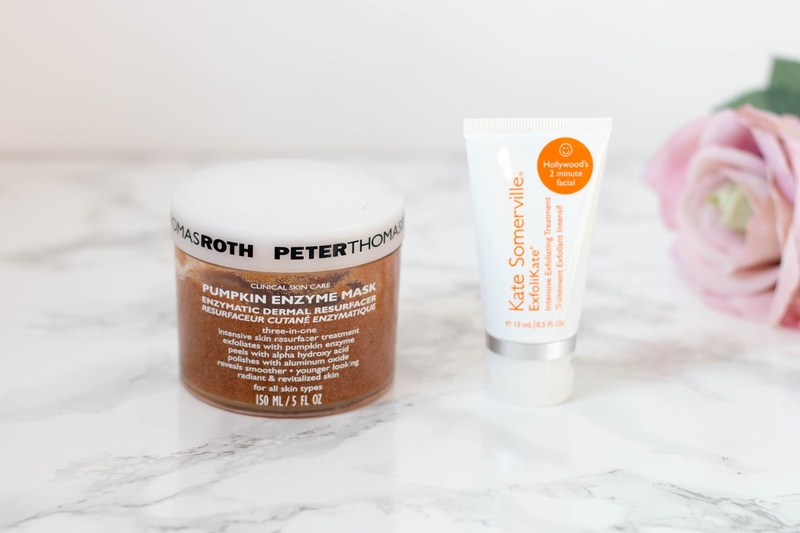 My absolute favourite product for this is the Peter Thomas Roth Pumpkin Enzyme Mask. I've have it for a few years now and am still only half way down the tub, a little goes such a long way. It contains AHA's and Aluminium oxide crystals (used in microdermabrasion) that buff the top layer of skin away. A couple of other products I use for this are Exfolikate by Kate Somerville, unfortunately you can't get it in the UK but if you are ever in the state deffo pick this bad boy up. I have to admit it is incredibly strong and the first time I used it I left it on for far too long. In the words of Take That, it only takes a minute girl. I have also heard fabulous things about the Kiehls Microdermabrasion - it is constantly out of stock on their website so it must mean that its awesome right? It does say tri-weekly on the site though so not for the faint hearted! After the peel stage is complete I always use a mist to calm the skin and begin the re balancing and hydrating process. My favourite for this is Pixi's Hydrating Milky Mist. After the peel stage I tend to use a bit more of a deep treatment and I mostly favour a sheet mask. My current favourites are the Soap & Glory Eye Masks & Hydration Mask because they really pack on on the hydration and my skin loves them. I also love the Peter Thomas Roth Cucumber Mask, I usually put a layer on and sit and let it soak it and it really brightens and hydrates wonderfully, I really notice the difference in my skins tone and texture after using it. I also love the Origins Drink up mask for deep hydration. Whatever my second step is its always a deep treatment, whether that be hydrating or brightening. Once I have complete the deep treatment stage its all about just piling on my every day skincare, I always find it works amazingly after having the first two steps. The first thing I would put on would be an eye cream such as the Kiehl's Creamy Avocado Eye Treatment or The Ordinary Caffeine Solution. 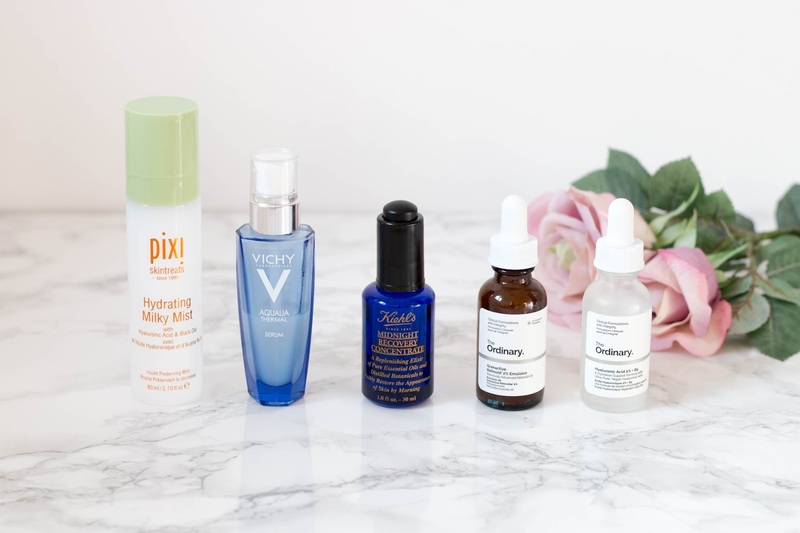 Then I would follow it with a water based serum such as Vichy Aqualia Thermal Serum - an absolute fave of mine, this is a product I cannot live without. Alternatively if I want some extra glow I would use The Ordinary Hyluronic Acid mixed with The Ordinary Granactive Retinoid After that its time for something a little heavier to finish things off and for this my pick would be the Kiehl's Midnight Recovery Concentrate for the ultimate in hydrated and glowy skin. What are your favourite Sunday Facial products?